The CLS Booster Officers are excited to welcome all families to the 2017-2018 school year. Together, we can make this the best year yet for CLS and for the Boosters! Henry Ford said it best, "If everyone is moving forward together, then success takes care of itself." To contact any of the Booster officers, please see the front office. We look foward to seeing and meeting you at the monthly Booster meetings! The CLS Booster group exists to serve as a way to keep CLS tuition as low as possible. By offering fundraising events throughout the school year and through active Booster participation, this program, alongside other fundraising programs and organizations associated with the school, help to significantly reduce the cost of education at CLS.  Our desire is that every family at Christ Lutheran School be involved with the school and with keeping the cost of tuition down. At the beginning of each year, a fee (Family Booster Registration), is assessed. Families that participate in booster functions become eligible for reimbursement of their fee. Please see the Family Booster Registration Fee and Requirement Policy for specific information on the policy, reimbursement, definitions, and qualifying plan options. Booster meetings are held in September, October, February and May. Dates will be set and put in the Eagle's Nest and on the school calendar. Meetings begin at 6 p.m. in the CLS school annex. How Can I Earn Working Hours? The simple answer is by working at booster events. Over the course of the school year, the Booster club hosts many fundraising events including but not limited to pancake breakfasts, fundraising sales, and a trivia night. Booster working hours may also be earned by working at the CLS Thrift Shop located at 607 1st Avenue, Rock Falls. Serving as a Function Chairperson is another great way to earn booster working hours. As a Function Chairperson, you would be responsible to coordinate and organize the booster function - and, in return, your will earn 12 booster working hours. Another way to earn working hours is to serve in a Booster Board office position. The Board is comprised of a Chairperson, Secretary, Treasurer, and Tuition Reimbursement Secretary. Election for Board positions is held in May of each year. The Boosters are always looking for great fundraising ideas and we encourage you to share your ideas at the Booster meetings.